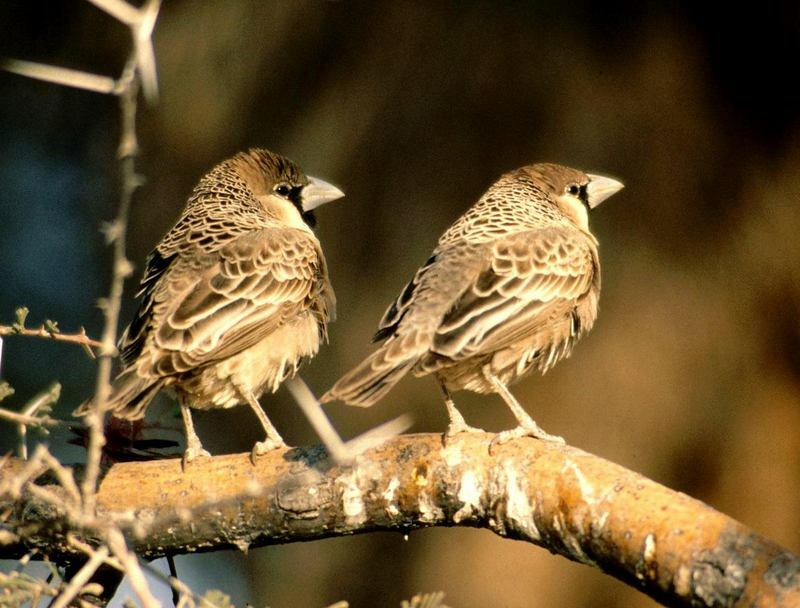 [Photo] Sociable Weaver (Philetarius socius), Okaukuejo, Namibia. Source: www.retas.de/thomas/travel/namibia2003/index.html Date created 21. Aug. 2003. Author: Thomas Schoch (http://commons.wikimedia.org/wiki/User:Mosmas). The Sociable Weaver (Philetairus socius) or Social Weaver is a species of bird in the Ploceidae family. It is monotypic within the genus Philetairus. It is found in Botswana, Namibia, and South Africa.